We provide ongoing support with both internal and external training to assist nursing staff with their own knowledge development and revalidation. NVQ/QCF qualification programmes are available to all staff. 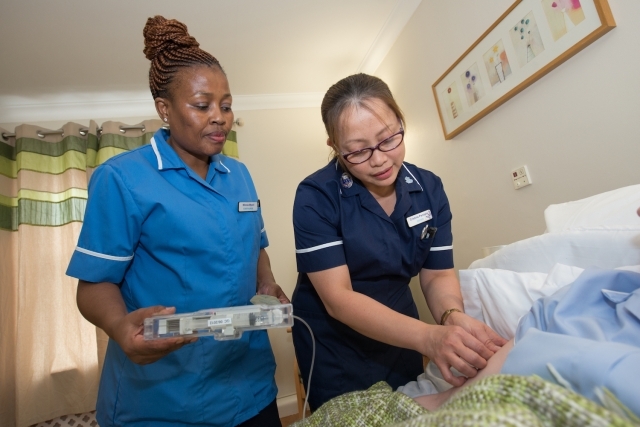 The Home also provides preceptorship for newly qualified nurses and is a recognised training establishment for student nurse placements. We are an equal opportunities employer and we believe that, when working for us, you will be joining part of an extended family. Please call 01264 333324 for an application form or, Send email, to training@andovernursinghome.co.uk attaching your CV if possible. We are a licenced sponsor holder and are able to employ nurses from overseas under our own licence programme.